Using mobile personal devices to interact with pervasive smart learning objects and services that create contextualized learning ecosystems can enhance both the learning outcomes and the motivational states of students. 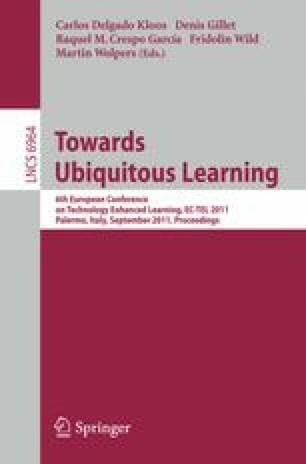 This paper defines and analyzes several pervasive learning ecosystems in which students at the Carlos III University of Madrid interact with contextualized learning objects and services. The technology defining the contextualized learning environments is first introduced and later used in two user experiments. These experiments provide data both about the learning outcomes for students after interacting with smart learning objects and services and about the motivational impact that the use of these technologies have on them.